I had to view the site myself before I before I actually believed it. Crazy! Israeli intelligence has given up to modern trends and introduced an online questionnaire for would-be spies. 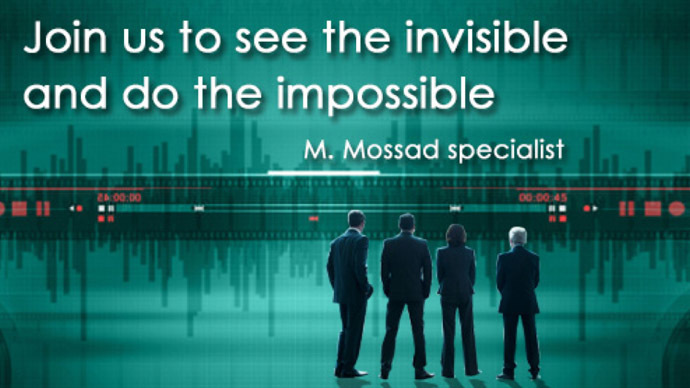 Unlike the businesslike CIA or MI5 web draft campaigns, Israelis are luring volunteers with mystery halo always shrouding Mossad’s activities.